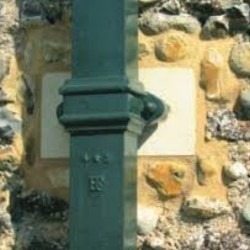 This 115mm Notts Ogee profile is deeper than the same width version of Standard Ogee, and has a more square shape in comparison. This gives it a higher flow rate whilst keeping the traditional look. This page is for the premier grey primed version of the Ogee Cast Iron. 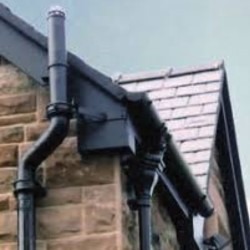 The 115mm Notts Ogee guttering system has an internal width of exactly 115mm, and a depth of 75mm. 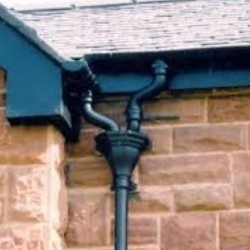 The guttering comes in 1.83m (1829mm) lengths which equates to the old 6ft imperial measurement.